Femputer Fembot: Do you know what it’s like to be a fembot living in a manbot’s manputer’s world? 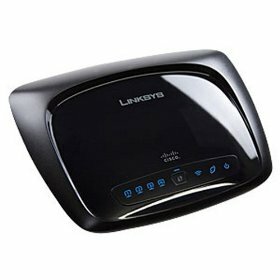 Linksys’ WRT110 Router, is their entry level addition to the Wireless N market. While not technically part of the Wireless N draft standard, it does use the technology behind Wireless N to provide some very solid performance well over what Wireless G is capable of. Capitalizing on the new Multiple Input Multiple Output functionality of Wireless N, this router seeks to provide home users a gateway into better connections and faster data rates. Combine that with the latest security features, interoperability with Wireless B and G, and a slick new look and you have yourself a nice starter router in the Wireless N realm. First and foremost, the biggest feature that stands out on this router is its Wireless N capability. Wireless N is the next major advance in wireless technology, offering eventually offering speeds up to 14 times faster than Wireless G counterparts. In addition to speed bonuses both the N capability plus Linksys’ RangePlus technology offers superior wireless coverage through walls and floors alike. In fact, you will have to take extra precautions to lock this router down because your neighbors well almost certainty be able to see your network now. The added bonus of RangePlus, is that unlike other manufacturers similar feature sets, RangePlus works with any vendors equipment. This means for you, that any existing, or future for that matter, Wireless N adaptors will take full advantage of what this router has to offer. In addition to the Wireless N features, the WRT110, also comes with the standard set of features most home wireless routers come with. This includes a full security suite, providing both a hardware firewall, as well as the latest in over the air encryption. In addition to the standard security it also offers Wi-Fi Protected Setup which forces users to push a button on the physical router before a new device can connect for the first time. Very good tool in keeping unwanted neighbors or would be attackers from connecting to your network. Along with the security features, the WRT110 also offers the standard 4 port switch built in, allowing for nearby computers to connect into your network via a hardwired connection. As a dual capable router, the WRT110 can operate both with Wireless N networks as well as the Older Wireless B and G networks. The nice thing about this particular router though is, that it suffers very little in terms of performance when running in a mixed mode environment. This allows you to upgrade your home network over time rather than having to run out and spend an arm and a leg upgrading every piece of wireless technology in the house. While not the highest end wireless network on the market, the WRT110, offers quality at a much higher level than G counterparts, and comes in just slightly behind full on Wireless N equipment. Shop around for this and get a decent sale price and it will be more than worth the investment as a step up from an older worn out router. I think the biggest feature that stands out is the shape. The redesign is great, and the fact that they save your key information to your desktop is awesome, but in trade, they’ve added an inferior antenna. We’ve managed to fry ours using only 2 devices constantly for the past 2 months. As for the easy installation, a word of caution to the 1337 folks out there: be sure to disable the IEEE 802.1x authentication for your network or else you’ll be sitting there forever waiting for the “Validating Identity” message to go away; a message that may or may not go away if you use the code printed on the back of the router. where can I see the “authentication”. Thanks.